Website design has changed a lot over the last two decades. Once upon a time, we designed static websites with a simple goal in mind – static representation on the web. Today, this goal is way more comprehensive. A website is the starting point of an online marketing strategy. Which is why it should be designed in accordance with your goals and your target audiences. Depending on your budget, requirements, and website size – you always have two main options in website design. You can either choose a template and customize it, or you can create a design from scratch. An advanced approach to designing a site from scratch is also known as the ‘Content first approach to UX design’, which requires more time, skill and investments in market research and development. As well as the changes in design trends and marketing methods, user experience requirements have also changed. Today a website must be dynamic, in other words, it should be developed in a CMS (Content Management System), such as WordPress, Joomla, and others. So, each page of the site should have it’s own optimally designed template, plus dynamic elements such as social media feeds, and the dynamic pages such as blog pages, product pages, VDP’s, etc. All of this largely depends on the industry you’re in. You might want to create a landing page for a certain service you provide, where you will offer a gift or freebie for lead generation. Or you will make your homepage the focus of whatever it is you’re trying to market – be that designer services, photography, restaurant, hotel, technical products etc. 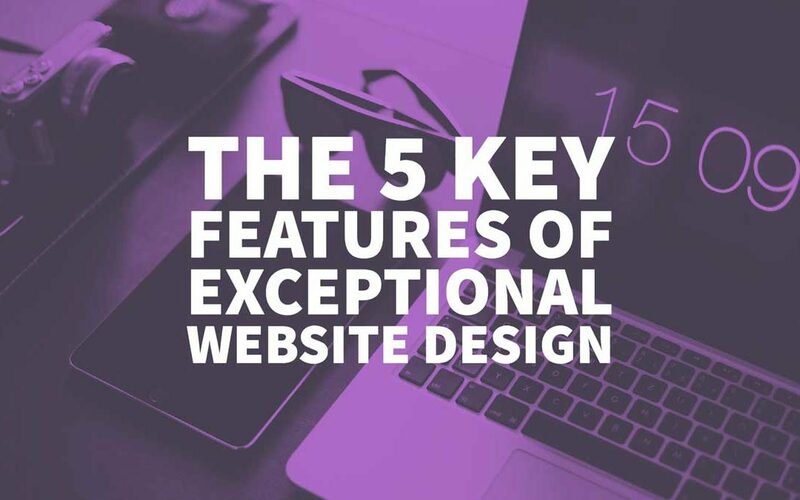 Whatever the case, there are 5 key features for exceptional website design – which will represent you in the best light, make your visitors stay on your page, and consequently become your clients. 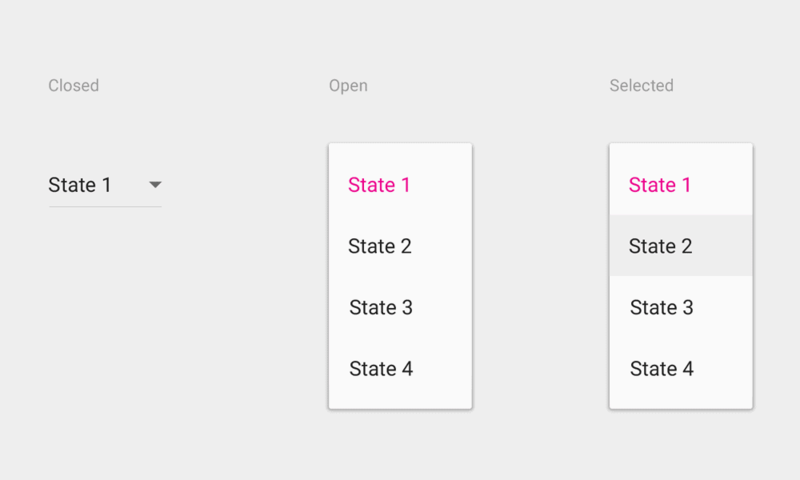 For example, learn how card styles can improve user experience. A logo design is the starting point of branding. As well as originality, a logo should convey your brand’s message. The positioning of the logo on a website has a subconscious effect on website visitors. It’s a good idea to place the logo in a few different places on your homepage. This will help your visitors memorize your brand and make it recognizable throughout the web. As well as the logo, the website colours, the overall style, the message, and the tone of voice – are all important parts of branding and must stay consistent throughout your website and your marketing strategy, elements and materials. Avoid too many colours and shading in your logo. A logo needs to convey a message. All logos are images, but they are images that should portray a meaning. A logo design should be unique and original. The amount of text on a logo should be minimal to none. Your logo and your website design must match and complement each other. Define your brand colours, style, brand voice and unique message clearly and use it across your entire website and marketing. Forget about an in-depth descriptive text on the main pages of your website, people don’t have time to read that. Long gone are the days when lots of text was considered good SEO practice. Sure, huge 2000+ word blog posts make a valuable part of an SEO campaign for a blog. But, a website has to be developed in accordance with the business and marketing goals. Your website homepage should be designed so that it points out the key benefits which you offer, how you can help solve a certain issue, and what makes you different and better than your competition. The highlight colours, CTA’s, and headings – all need to work with the story you’re telling. Different pages on your website will have different goals as well. You might have an engaging About Us page which emphasizes your testimonials, social reviews, social connecting – with the goal of growing your online presence through social media reach. You might also have a landing page for a certain campaign for a service/product and whatnot. This landing page will have to be laid out and designed with minimal distractions, a clear description of the offer and logical, enticing, directions on what action you want the visitor to take (think headlines, banners, CTA’s). The design of landing pages often requires Conversion Rate Optimization. Depending on what the goal of the page is – does it lead to the end of the sales funnel, where the online transaction is carried out, or – is it for lead generation (think gathering visitor data) to use in the process of converting them from visitors to leads and potentially to buying customers. DO NOT fill your site with lots of text. Avoid jargon, complicated wording and worn out sales pitches. Make sure your text is free of grammatical errors, proofread text more than twice for certainty. Use readable and larger fonts which are pleasant on the eye. Use unique colours or text decoration for headings, but avoid using fonts which are too fancy, instead stick to web safe fonts. Use CTA’s (calls to action) for the actions you’d like your readers to take. The colour and the placing of CTA’s is key to getting your visitors to click through further into your page. Draw attention to important text with captivating images, graphics or colour. Although originality and creativity are a big YES, and you definitely don’t want to create a boring website; there are some best practices you should keep in mind when wireframing your exceptional website design. The website layout should follow a reader’s natural behaviour when scanning a website. Eye tracking studies show that readers scan web pages top to bottom and left to right, also known as an F pattern. This is key to an optimal user experience because if your site content is hard to follow and can’t be scanned quickly, your visitors will bounce off your site and you will lose quality prospects and search engine rankings. Use visual hierarchy for information which will guide the visitor to the most important elements of the website such as; email signup, clickthroughs to product pages, etc. Apply the F pattern for content layout. Make the most important parts of the page stand out. Use your about page creatively instead of just plain generic About Us pages. When it comes to website navigation, one rule of thumb is to make the structure as shallow as possible. The navigation should not be deeper than 3 levels. The structure of a website should be mapped during the wireframing process in cases of design from scratch. Navigation should be designed with logic and conventionality. In other words, the conventional positioning of a navigation menu is usually at the top of the page. Readers are used to this, so putting the navigation bar in an unconventional place may confuse your visitors. 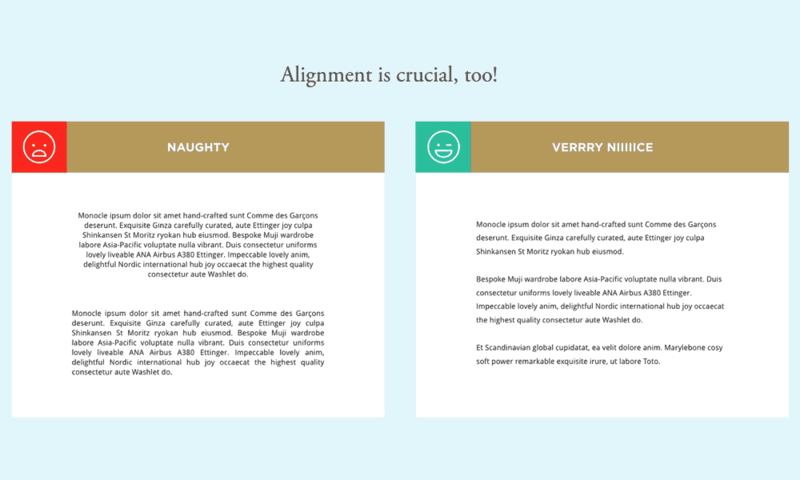 Avoid complex and deep page structures – they’re hard to navigate and are not SEO friendly. Use logical and intuitive menus which are easy to navigate, even if it means creating additional separate menus for different pages on your site. Keep the “three click rule” in mind – which means users should be able to get from point A to point B within 3 clicks at most. Place your navigation bar in the conventional place – top or top left. Apply breadcrumbs on every page of your site (except the homepage) so your readers know exactly where they are. Responsive design, or mobile friendly website design, is an inevitable part of a website. Many of your visitors will browse your pages from smartphones and tablets. A responsive design means that the web page has the ability to adapt to the different sizes of a device screen. So, your website has to be appealing and accessible on a mobile device as well as on a PC. Additionally, accessibility means you’ve also considered people with visual impairments, slow connections, and older PCs. That’s why it’s important to use elements such as alt-text on images (which are also important for SEO). 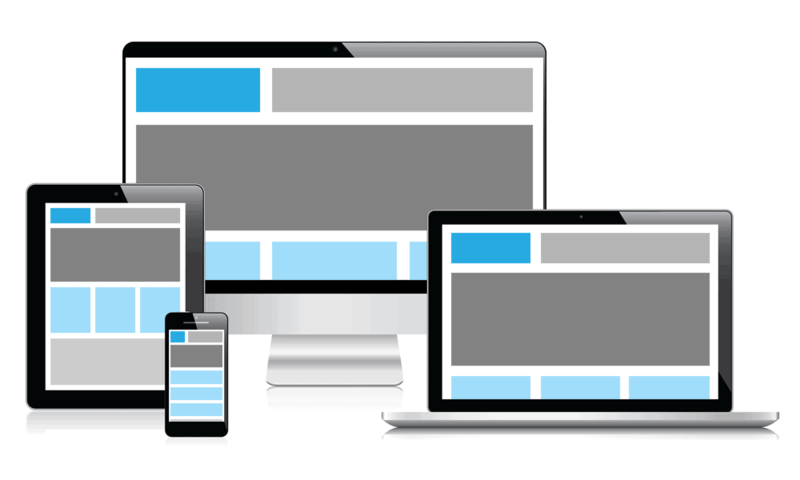 A website must be responsive – flexible and able to adapt to all screen sizes. Don’t overload with visual elements. Conduct user testing with UX testing tools such as CrazyEgg heatmaps or by surveying users – make changes accordingly. Designers can sometimes get carried away with the actual artistic side of the design, forgetting that the website’s purpose isn’t to show off artistic design capabilities. A fancy, unique site is great to see and it may solicit interest, but is it user-friendly and does it fulfil its core purpose? Of course, if you’re an artist and your main goal is to show off your artistry, then let your creativity roam as much as you want… No limits. However, if on the other hand, you want your site to bring you business, then you have to make sure you’ve done your research in order to create the best user experience and to convert your visitors into paying customers. 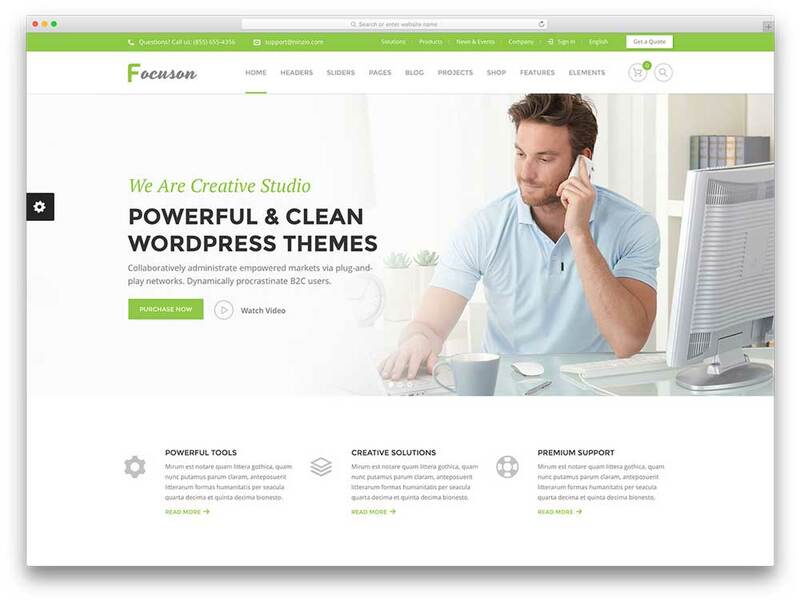 In order to achieve the best possible results with the design and development of your website, you have to either have a few members on your team, such as; designer, developer, and marketer. Or, if you’re on a low budget you can invest the time to learn the best practices, gather the latest ideas and tips, and wear many different hats – marketer, psychologist, developer, and designer. Additionally, today’s UX and exceptional Website designers and developers must have skills in marketing and sales. If you’re going for a one man project and doing it yourself, or just hiring a developer, I strongly advise you to do some more in-depth research on designing and developing a website in accordance with the inbound marketing methodology. HubSpot is the leading authority for inbound. Whereas for some great tips and advice on marketing and writing on your website, visit the blogs of the top marketers such as Jon Morrow, Brian Dean, and Neil Patel. I’m glad the visually impaired got a passing mention. However, since true screen reader (adaptive software) accessibility does take some time and care in the first stages of design (your own excellent html headings are a key example of such design care) I have to say I’d have liked to have seen the point stressed and made clearer. A whole sentence on the topic (rather than lumping it in with slow connections, … and may I add that nothing slows down the uploading of a website like a screen reader, try combining that with a dial up connection, … but I digress) would have made the point clearer and given it the kind of emphasis that is so desperately needed. Too many companies are still happy to take the money of visually impaired customers but not willing to invest any time into their website experience.